At Sunset West Plumbing & Rooter, we complete every project in a timely manner and leave your home’s plumbing system working better than before. We specialize in residential plumbing repairs and preventative maintenance. Our team of professional plumbers has the experience needed to resolve every plumbing problem they come across. So you can be sure that the plumbing problems you are dealing with are handle correctly and efficiently. We have worked with many different brands in plumbing equipment including luxury and international brands that are not seen very often. No matter how complex the fix may be, we will determine the best option to get the results our customers need. Sunset West Plumbing & Rooter uses new methods of repair so we can provide solutions that are more cost effective and leave less of a mess behind. Camera inspection are becoming a popular tool for performing inspections for the source of leaks. Relining sewer pipes is a new way of repairing pipeline that creates a seal that not only repairs a leak or break, but adds to the lifespan of the pipe. Both of these methods are quick solutions to make repairs without having to dig around on your property and destroy the landscape. We think one of the most important features of any plumbing business should be exceptional customer service. We are determined to provide honest and reliable answers for every repair and replacement so our clients can trust us to help them take care of their homes. It is important to use quality materials that will not fail and need more repairs done in the future. That is why we only use the highest quality materials and fixtures so you know that the job was done right the first time. Since 1989 when the company began, we have learned a lot about what works and what does not. This gives us the ability to make accurate decisions quickly and efficiently so we can save you money and time. We treat our customers like family, and because of the trust they have in us, they recommend us highly to their own family and friends. 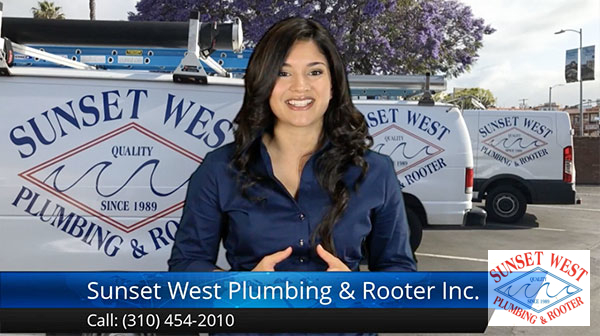 Sunset West Plumbing & Rooter believes in exceptional service with quality materials at economical rates. This goal can be achieved with honesty, integrity and trust. Our team is available to answer any questions you may have. 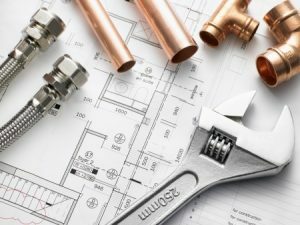 For more information about us or our plumbing services please give us a call today! We serve not only the West Los Angeles area but the surrounding areas, including Beverly Hills and Pacific Palisades, CA. 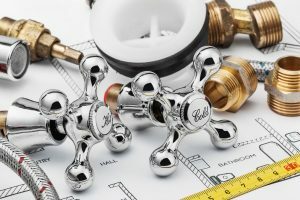 Sunset West Plumbing & Rooter offers residential plumbing repairs and installation in West Los Angeles and nearby areas including Bel Air and Beverly Hills, CA. We have the experience required to fix every leak and break that you may encounter in your home. We are available to work on any project you have. Have a dripping faucet? We will come out and repair the problem. Looking to remodel your kitchen or bathroom? Our team can come in to remove the old plumbing and install the new replacements. No matter how big of a project you need completed, you can trust us and our dependable service. For more information on residential services, give us a call today: (310) 454-2010. Bathtub & Shower Does your bathtub need repairs or replacing? Call our professional plumbers today for quality installation and repairs. Hydro Jetting When snaking your drain and chemical cleaners don’t count it, hydro jetting service can remove any clog you have. 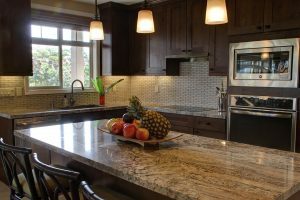 Kitchen Our plumbers are able to repair any kitchen plumbing damages you have and install any fixtures you want. Re-models Looking to remodel your kitchen or bathroom? Call our plumbing team for quality remodeling services. Sprinkler System Keep your lawn green and sprinkler system working with our maintenance services. Tank Water Heater Repair If your water heater has sprung a leak, call our licensed plumbers to perform reliable and efficient repairs. Tankless Water Heater Repair Is your tankless water heater not performing like it used to? Contact us for repairs and installations. Toilet Repair Whether your toilet is cracked or is leaking, our plumbing company will be able to repair your toilet good as new. Check out our Residential Plumbing Services page to see more of the services we offer. Camera Inspection Using innovative cameras, we are able to detect and repair any damages you have to your plumbing. Earthquake Gas Valves Always be prepared for an earthquake when you install an earthquake gas valve to your residential home. Gas Lines If you have a gas leak in your home, we are able to perform quick and safe repairs to prevent carbon monoxide hazards. Sewer Line Cleaning We use high-tech equipment and materials to repair your sewer pipes. Water Purification & Filtration Remove water impurities from your water with water purification and filtration installations from our professional plumbers. 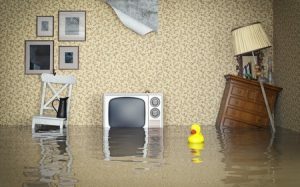 Dealing with a flooded bathroom or a leaking kitchen sink comes with a lot of unwanted stress. We know how difficult a plumbing disaster can be. If you have a leak or a clog that is starting to cause a lot of problems in your home, give us a call today. We will come out as soon as possible to take care of the issue before more damage is done to your property. You never want to let damage go unattended for long. This just allows the damage to spread and worsen, making repairs more costly and potentially causing more complicated problems with the walls, ceiling, or flooring in your home. Contact us if you are dealing with a plumbing crisis so it can be taken care of in a timely manner. Clogged Drains & Pipes If you’re experiencing slow draining water in your shower or sinks, give our plumbers a call for repair and clog removal. Garbage Disposal Repair Contact our plumbers today if your garbage disposal is clogged or you have recurring problems. Leaky Faucets & Pipes Our plumbers are able to provide repairs and maintenance that will if your faucets and pipes of leaks. Sewer Relining Is replacing your sewer pipes out of your budget? We offer sewer relining services that are an affordable alternative to traditional sewer pipe replacements. Slab Leak Detection We use cameras and other innovative tools to detect your leak and repair it immediately. Trenchless Pipe Repair With this service we are able to repair your pipes more efficiently and without tearing up your property. Updated on June 1, 2017 at 3:16 pm by Sunset West Plumbing & Rooter.